Support Arts & Culture and Access Great Travel All in One! It has been 10 years since Confederation Centre of the Arts embarked on a group travel experience. Join the Founders' Circle and open the door to Group Travel. 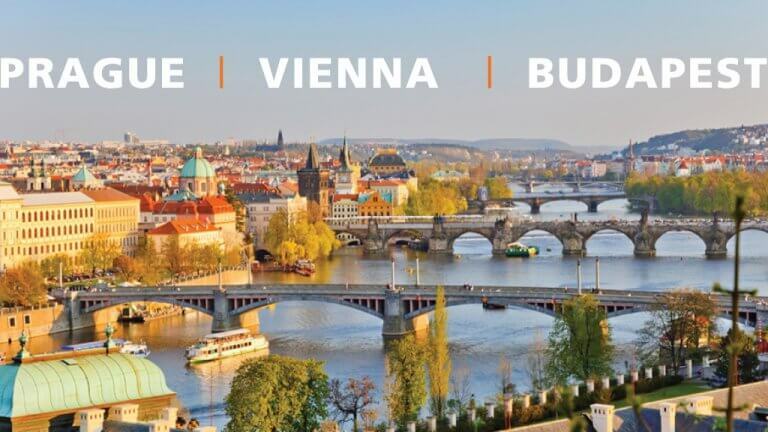 Confederation Centre of the Arts is pleased to offer its members the opportunity to join an exclusive 11-day grand cultural adventure to the Imperial Cities (Prague, Vienna, and Budapest) hosted by Founders’ Circle Members John Steinsky, Honorary Consul of Czech Republic, and Brenda Steinsky. – Visiting Lobkowicz Palace, home to the largest and finest art collections in the Czech Republic spanning over 600 years of family history. – Embarking on a Danube River cruise through the historic Wachau Valley. – Stopping in Melk for a visit to the famous Abbey. – Dinner and sample wine in the picturesque Grinzing region. For further information contact mlong@atlantic.caa.ca or 1-800-561-8807. Click here more information on Founders’ Circle Membership. Personally Escorted Tour by John Steinsky, Honorary Consul to Czech Republic and Brenda Steinsky.